I've always been under the impression that soft tacos are more traditional than the hard shell variety, which I have a feeling came about in this country as some sort of fast-foody invention. I've never been to Mexico though, so I don't really know what I'm talking about. However, I do know there are those of you who won't countenance a hard shell when it comes to tacos, and though I think that shows taste and distinction, personally, I can go either way. For best results, I warm them up in a pan so they soften before folding them into the tin. I don't use oil or anything, I just throw them in a warm pan for a 30-40 seconds until they become soft and more pliable. Once they're in the tin, I bake them for about 8-10 minutes in a 375 F oven. If you check them periodically, you'll be able to tell when they've stiffened up enough. Sometimes, I brush them with a mixture of Bragg's Aminos and lime juice before hand, which makes them extra tasty. The filling consists of raw walnuts, sun-dried tomatoes (I use dry ones reconstituted in some warm veggie broth until they're soft), a few black olives, ground cumin, nutritional yeast, a dash of hot sauce, black pepper, and a dash of sea salt. I used those old school kind of black olives...you know the ones you used to put on your finger tips at holiday parties...they're very mild tasting and not too salty. Any kind of olive you prefer would work great; if they're more salty, like say a kalamata, you'll want to taste the filling before adding more salt. Jalapeños would be nice addition too. EDIT not in original publication: I also add garlic! And just for clarification...you mix everything in a food processor and that's it, you're done. :) It's also really good on nachos!!! 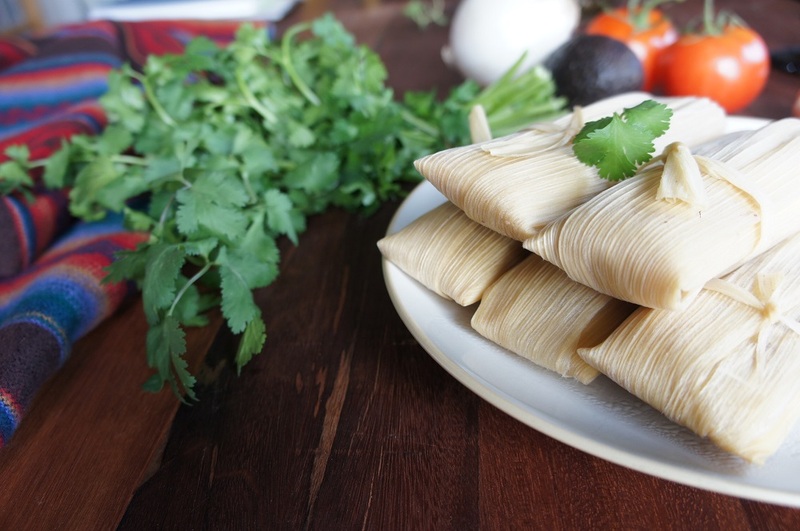 As you might imagine, this filling is enormously versatile; you can add spices and other ingredients of your choice in order to tailor it to the desired flavor profile. I've used it for many different dishes from moussaka to lasagne, but it really makes tacos shine in my opinion. In addition to the walnut filling, these particular tacos also had a layer of drunken black beans and garlic, and were topped off with the usual suspects: tomato, spring onion, avocado, black olives, shredded carrots and daikon, etc. I took the pics before piling on the salsa and hot sauce...truly, mouthfuls of deliciousness. Now for shoes! People often think that being vegan must be difficult, but I know all you vegans out there will agree, that food-wise at least, it's not difficult at all. In fact, it's a true joy that non-vegans are really missing out on. But when it come to shoes...that has always been the hardest part of the vegan lifestyle for me. I can never find any shoes that I like! Everyone's tastes are different of course, and some might find loads of vegan shoes that suit their tastes, but I rarely see any that catch my fancy. I often peruse the vegan shoe sites, and there's even a vegan shoe shop near my house, but I'm always disappointed in the selection. Buying shoes has become an infrequent activity for me, except in the case of running shoes and sandals, which I think are easier to find then other dress and casual shoes. They look cute with trousers and skirts, and while they may not be everyone's cup of tea, if you're short like me, you'll probably understand the appeal of wedges; they give you a good few inches of height. The trick is finding ones that are actually comfortable too. If they're well made, a pair of wedges can be very comfortable indeed. These particular ones don't fair too badly on that count; I can be on my feet in them for about 7 hours before my feet start to complain. I found them on a teeny-bopper site called ModCloth, where you'll find lots of funky teen glamour stuff, but I mainly look at the shoes. In the "More Details" section of the product description, they tell you what all the shoes are made from, and many of them are from all man made materials. Most of their stuff is imported of course (read outsourced), which I don't like, but finding anything made here a chore in itself. Here's hoping that there's enough impetus to make that change in the coming years. That's all I got for now. I do have several other meals that I feel like posting about, but I'm thinking of switching over to Wordpress, so not sure whether I'll post much more here or just post them on the new blog when I have it set up. It all depends on how lazy I end up being about doing the blog transition. It sounds like a heinous project--precisely the sort of thing that I personally loathe, but I find myself wanting to move away from Google services, so I'm looking into it with fairly serious intent. Oh, a Rose post!!! How I've missed them!!! Those tacos look wonderful! I've had that raw taco filling on my to-do list for ages--can't recall whether I picked up on it on your blog or elsewhere. So thanks for the reminder! Also! WRT the shoes, this is really funny but when I was reading your post and saw your comment on how hard it is to get vegan shoes, I was thinking to myself "Modcloth" and there you have it! I just bought a little pair of pleather ankle boots from them and some dresses last week. I feel guilty about the fact that I still have (a lot) of leather shoes. I have not bought any new leather since going vegan, but it seemed wasteful and impractical to throw out everything I already had. I guess I'm "setting an example" by wearing leather but I frankly can't imagine anyone wanting to copy my style, which is thrift store/hippie/slovenly. The walnut filling is awesome! I hope you like it! Add your own tweaks and a bit of your own flair; it'll turn out really tasty. Sometimes I use soy sauce or BRagg's aminos for the salt factor, but other times I just add some other salty ingredients: pickled jalapenos, capers, etc...If you make it, let us know how it turns out. I really like the ModCloth stuff too...I don't usually order anything but shoes, but I like a lot of their tops and dresses and stuff. Sounds like we have a similar style; I love thrifting because you can find unique pieces that no one else has. I don't think you should feel guilty about the leather shoes...I did the same thing when I gave up leather...just phased them out gradually as I bought new shoes. Now, I only have vegan shoes, except for an old pair of knee boots. And, I will admit that I have been tempted on one or two occasions by a pair of really cute non-vegan shoes...but I stayed strong. Your pictures are gorgeous as usual and the taco shells look so lovely and are so easy to make! I also love the sound of that walnut taco filling! It sounds so delicious! I'd probably sub out the olives for jalapenos because I'm not a fan of olives but the rest of it sounds delicious! Thanks for sharing! The taco filling is really good, and I love that it's full of healthy fat. The original recipe calls for olive oil, but I don't add any oil..I don't think it needs it. Jalapenos will work great in it. I don't always add olives, sometimes I use soy sauce or Bragg's aminos for the salty aspect. Hi Stephanie! I know...don't you just need to take a break once in a while? Too bad about the shoes! I only have cats; at least they don't eat shoes! :D I think the walnut taco filling is a real winner, let us know how it turns out if you make it. Excellent post, as always. Never knew one could heat up corn tortillas like that. Very timely with Super Bowl next week. We always do nachos for SB but I'll remember this idea for next time we do Mexican. I admire anyone who can wear 4" heals. I'm thinking of moving in that direction, I've always been a two-three incher and I've never had a problem finding non-leather shoes till this past winter. Payless and Famous Footwear always had tons of stuff I could consider. Not anymore! I've been scouring Amazon, Piperlime, Zappos, Macys, Nordstroms. Fug! Fug! Fug! Can't find a single shoe that fits my style. Hopefully, spring will be here soon and I can just go back to sandals. Molly looks to be loving her forever home. I feel your pain on the shoe front. I wonder why they discontinued all the non-leather shoes. You're right, at least sandals are pretty easy to find. Let us know if you find any new vegan shoe havens in your search. I tryly love the tacos and the shoes...they are beautiful. Those are totally cute shoes! I've been thinking of re-doing my blog too. Taco's are made quite regularly at our house, you may have noticed. These look and sound really easy to make. Great idea using the muffin tin, I usually use soft corn tortillas because it's just easier. They are totally easy to make! As far as redoing the blog goes; I really want to, but not looking forward to the process. I have got to make that taco filling for my daughter! She's been missing tacos for a few years now, the only recipes I've seen used tvp which I don't use. Thanks for sharing it Rose!! If your daughter has been craving tacos, I think she'll like the filling. Sometimes, I add soy sauce or Bragg's aminos instead of salt. It always turns out tasty and it's so versatile too; you can really tweak it according to your tastes. Great stuff, Rose. The taco filling sounds really good; I've never really thought to make my own "meat" - I'm also a big fan of the very geometrically equal dicing of the avo and tomato. I think the taco filling is right up your alley; it's raw and it's healthy. The original recipe called for adding olive oil, but I don't add any, it doesn't need it and you can really ramp up the flavor by all the other stuff you add. It's good on taco salad or just any salad too; I bet it would be good in a collard wrap too. Yeah, sneakers are pretty easy to find cute ones. It's been a while since I've checked out Zappos, must have another look. It is indeed very cool that they have a vegan section! I agree that buying thrifted shoes is totally different than buying them new. Another gorgeous post. I've been craving tacos for, like, a whole year, and have not made them yet, and I don't even know why. Yours look so good, and I love the idea of baking them (not making them; I have come to terms with my limitations) myself. Good lord, yours look so delicious, and, ahem, that broccoli side takes your photos into the stratosphere, beauty-wise! Shoes? Gah, I'm so tall that if I wore shoes like that it would be an act of aggression. Yours are sure cute, though. Shoe-wise, I go for comfort and cheap-i-ness all the way and tend to have one pair of shoes for each use (work, walking, gym) and wear them until they wear right out, then buy another one as identical to it as possible. Not a philosophical stance, just tender, delicate (if large) feet. Ah, you're one of the lucky tall people. I've always wanted to be taller; I kept hoping I would continue to grow, but I stopped when I was about 11 and never got any taller. Not fair. But you can wear cool shoes...tall people just wear big shoes and hope no one looks at their feet...so it's not all bad. I love the idea of using the muffin tins to shape and bake those shells. I grew up with my dad lightly frying corn tortillas to make our tacos, so I still prefer that method - think ingrained taste buds from long ago. But, seeing how easy it is to do it your way, on our next batch of tacos, which won't be too long away, I'm am positively going to do this. That walnut filling sounds amazing, too. As far as shoes, I've never had a problem finding shoes locally, so I'm bummed that you're having such a hard time. I'm 5'10", so those babies would make me an NBA player! Why do you prefer Wordpress? Just curious. I've seen other bloggers going over there, and I'm wondering if it's easier or something. How hard is it to switch your blog over there? The home fried shells sound good too. I just couldn't figure out how to fry them and make them shaped in a U...you should post about how to do that. But, the baked version is kind of fun too...if you brush them with some soy sauce and lime juice before you bake them, they come out tastier and make up for the flavor component missing from not frying them(I think). Very clever of you to make the stand-up tacos. We used to use them long ago but like you, we became disenchanted with the store variety. Sometimes it's nice to bite into a crunchy taco instead of a rolled-up one. And the filling sounds yummy — similar to one we had at Vida Vegan Con. As for the shoes — I think they look great! Love the color and design, but I'd probably fall on my nose if I tried to wear them. You're right about the crunch bringing a nice change to the taco experience from time to time. I like the soft ones too though, but Mr Dandelion doesn't like them as much as the hard ones...anyway, I do highly recommend the walnut filling, so yummy! The shoes are not too difficult to walk in...I've had wedges that were much more treacherous...and have fallen on my nose at least or twice in the process, but then again, I've had pairs that felt just like wearing a comfy pairs of sneakers. These are somewhere in the middle. p.s. You probably know how I feel about google right now, but the thought of switching offers little comfort. You can download a complete version of your blog and upload it to wordpress, but of course that probably sounds easier than it is. Before I can move mine, I have to restore it where it is. And by then I might be out of energy. I know...I keep thinking of you every time I think of doing a blog transition. :( Hang in there! I agree, these things are never as easy as they might sound. Tsk, tsk. Are you telling me that you haven't memorized all of my taco recipes I've posted? Oh, I just don't know what to say! :-) Anyhow, all we do to shape the shells is once they're lightly fried on one side, we flip them and put the filling on one side of the tortilla. Then, we use a spatula to fold the other side over, that's all. Easy squeezy. On Google: how will their privacy change affect us? I have no idea on this matter. Thank you, dear. Oh, great!! I should have known you would have already had that covered on your blog! Who would have thought it would be that easy!! I'm going to try it next time. As for the Google thing, I think it just depends on how many google services you use. I don't use gmail, all I use is blogger, but whenever you're logged into your Google account, which I am a lot of the time to comment on blogs etc, they can track your actions online, e.g. Google search etc, in fair detail. They track search even if you're not logged in, but if your not logged into Google at least they can't narrow down to the precise user account. Oh, yum, I haven't made tacos in a dog's age and now you have me wanting some (your blog does that to me a lot!) :-) I'm no expert in taco shell traditions south of the border, but on the few occasions I've dined in Mexico, I've seen both varieties on the menu. Of course, it was always in border towns, so they may merely be appealing to American preferences. I must say, though, I've always preferred the crunchy ones, but abandoned the store-bought shells quite a long time ago for the same reasons you did. Plus, I won't eat corn products that aren't organic, since it's a major GM crop, and it's difficult to find organic taco shells. I love the Food for Life sprouted corn tortillas - we use them to make our corn chips. Thinking they'd also make perfect taco shells, but not being nearly as inventive nor clever as you, I got one of these a while back. But have I used it yet? Of course not. I feel pangs of guilt every time I open my cupboard and see it there. You have a taco rack?? Cool. You should use it, but even if you don't....I'm sort of the same way with gadgets; I might use them once or twice and then they sit there, while do things by hand. Even if you don't make tacos, the walnut filling is good on nachos too, and taco salads, etc. It's super quick to make too. I love that you can taylor the flavors to your tastes...lime juice is a nice addition too. I play around with combos a lot. Sorry to hear you're stressed. I'm sending you good vibes on the real estate front! There's a perfect little home out there for you and BW...I know you'll find it soon. 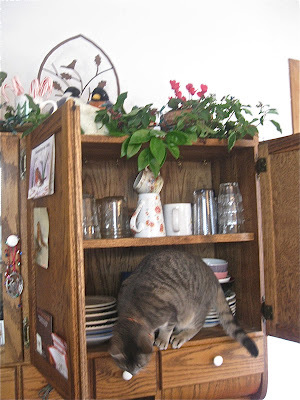 Yes, we should make a nursery rhyme about Molly and the cupboard...Old Molly Hubbard Went to the Cupboard...lol, but, I'll leave it there; you're the expert on clever rhymes and the like. PS All that rambling, and I failed utterly to mention your shoes! I'm glad you found a pair you love. I hate shopping for shoes, always have, and keep my shoe collection to a bare minimum (appropriate, since I prefer to go barefoot!) :-) I'd fall flat on my face with my first steps in shoes like you got, but I think they're very attractive and look really comfy! Aw, thanks Laurie. I like to go barefoot at the beach or the lake, yet not sure why, but I like to wear shoes around the house...At my bro's place, everyone takes off their shoes at the door. You'd feel right at home! I always feel a little put out by having to leave my shoes at the door. Especially, because I'm pretty much the ONLY short person in my family. They all take off their shoes and they're still nice and tall, and I take mine off and I'm a foot shorter than everyone!! Blah. 1. I love the title of this blog. 2. What a great way to heat up taco shells. 3. The pictures are absolutely edibly delish looking! If there is such a thing. 4. I am excited to discover this blog and search out the recipes. 5. So glad you started this blog. Thanks so much for all your nice comments! Glad you stopped by. I'll stop by your blog soon. Great Shoes!!!! Cool veggie shoes can be hard to find! Oh and the taco filling sounds good too! You made taco shells! Wow, they look great! I am not very good with high shoes, I can wear them for a while, but because I usually have to drive everywhere I change into some comfortable slipper for the car... and sometime I forget to put the 'good' shoes when I get out of the car! Oooo, I want to try these tacos! Walnuts make a surprisingly good taco filling! I never would have guessed it before I tried it myself. I like the addition of sun-dried tomatoes in this recipe. That's something that's not there in the one I use (from Ani Phyo). I'm going to include those next time! I also love your idea of using soft corn tortillas and an upside down muffin tin to make hard shell tortillas. Good luck on the move to Wordpress! Are you planning on being self-hosted or hosted by them? I have plans to become self hosted this spring, but like you, I've been putting off the move. I know, right? Who would have thought! Raw recipes are so ingenious! I often used the walnut filling for non-raw recipes, and these tacos are an example of that. Thanks for stopping by Ashlae! I think if I were tall, I would still wear these shoes too...I wouldn't let it put me off from buying cute shoes either. As always a visit to your blog makes me want to be a vegan, but like you mention, I think it's too hard and frankly don't even know where to start. I'm not a big cook-like if it involves more than 15 min prep I'm kind of done. I visited http://www.crispphotoworks.com/food-photography/ today....and she is starting a weekly food linky. Your photos or what you make are so stunning, I thought you might enjoy sharing them at that site. Take it or leave it, just thought of you when I saw it. Those tacos look so good! I'd never have thought of baking ordinary tortillas, but I'm going to give it a go now. I moved from Blogspot to Wordpress and have never regretted it. The only thing was, I had to pay not to have adverts added (like for chicken nuggets, gah! ), but it wasn't much. Hey! Coming back to comment since I wasn't able to one-handed awhile back! I was just telling my husband your taco shell idea a few days ago, and he was impressed, as well. I really love the idea of the taco filling as I've eliminated most isolated soy protein foods from my diet. Also love the shoes. I'm 5'3" so heels are good for my stubby legs. :) Not that I ever wear them but one day I just may! You've freaked me out now about Google so now I want to change, too. :) I'm always logged into my google account - that's so weird. The taco filling is really delicious...I try not to eat the soy protein isolate either, and honestly, you don't miss it with this; it's surprisingly tasty! I've been dragging my feet on doing the Google switch...just haven't had time! I'm usually logged into my Google account too. What a great idea! I will definitely have to try your muffin tin trick! And the filling sounds wonderful! We recently tried a taco filling from Viva Vegan that was fantastic! The muffin tin thing works pretty well, so long as you make sure to heat up the tortillas a little first so they're more flexible. I'll have to check out the Viva Vegan taco filling; I have that book, but I haven't cooked from it yet. This is amazing! Simply amazing! I knew you could deepfry soft tacos to make hard tacos - but deepfrying? Baking is 1000x better! Yeah, I agree about the deep frying. I mean it's generally delicious, but I try to not to do it too often. I've found that you have to warm the tortillas a bit before folding them into the upside down molds, so they don't crack when you fold them in. Other than that, it's a pretty good workaround for hard tacos. Oh my, my favorite is mexican food. Love your blog!! Ha ha...I'm working on it...I think I'll get back in the blogging mood soon. Those shells are so clever! I might have to try that. Vegan tacos are by far my favorite food. Also, those shoes are gorgeous.